We have a raft of new, exciting acts to announce for this years’ Priddy Folk Festival. First off, from East Anglia, we are delighted to have secured The Shackleton Trio who has a fantastic 2018 garnering rave reviews and national exposure of Mark Radcliffe’s BBC Radio 2 Folk Show. They have already released two highly-praised albums – The Dog Who Would Not Be Washed and new release Fen, Farm and Deadly Water – and we can’t wait to see tham on stage at Priddy. Go here to see them in action. 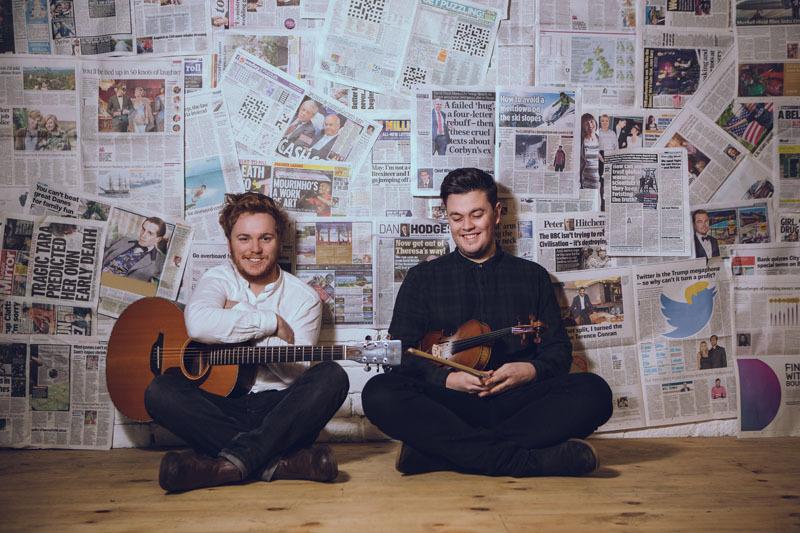 Greg Russell and Ciaran Algar are already one of the best known duos on the British folk scene. In what seems like yesterday but was actually six years ago they won the the Horizon award in the BBC Radio 2 Folk Awards and since then have gone on to be one of the most sought after acts at clubs and festivals around the country and abroad. Since joining forces in 2011, they have also released three albums including their latest Utopia and Wasteland which has enjoyed healthy since its release in April 2018. Combining powerful lyrics, cheeky humour and sublime musicianship, they are one of the best live acts around. 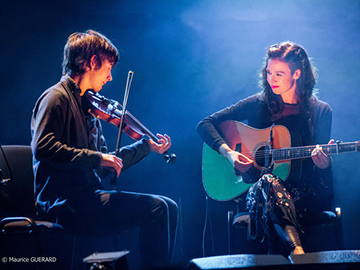 Another duo joining us in July, this time from Scotland, is Ryan Young and Jenn Butterworth. Guitarist Jenn, of course, is no stranger to Priddy but Ryan may not be the most familiar name to many. However his fiddle playing is enough to catch any ear. He plays a grace and panache that you don’t hear very often. Check this out and you will understand why we are looking forward so much to welcoming them both.